All about the Belle Époque: Delicate illustration that defined an era With his instantly recognizable decorative style, Czech artist and Art Nouveau master Alphonse Mucha (1860-1939) defined the look of the fin-de-siècle. In evocative shades of peach, gold, ochre and olive, his seductive compositions of patterns, flowers, and beautiful women became paradigms of the Belle Époque years. 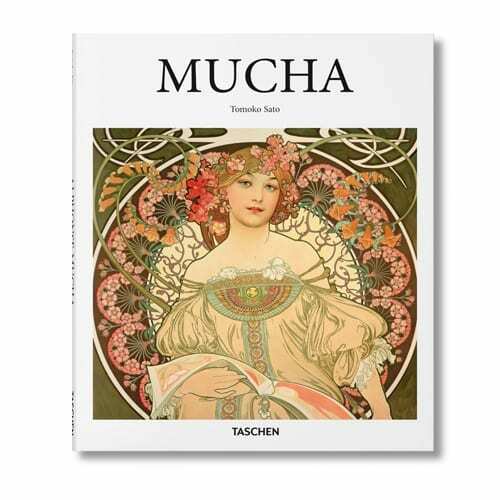 Mucha’s work permeated illustration, posters, postcards, and advertising designs of his day. His striking posters of star actress Sarah Bernhardt were particularly famous. Alongside this delicate decorative work, Mucha also harbored committed humanist ideals and nationalist beliefs. With monumental works such as The Slav Epic, he expressed his staunch support for Pan-Slavism, promoting the political independence of the Czech and Slavic nations from the Austro-Hungarian Empire. This book presents key works from Mucha’s distinctive oeuvre to introduce an artist who, with few rivals, distilled the spirit of an age.